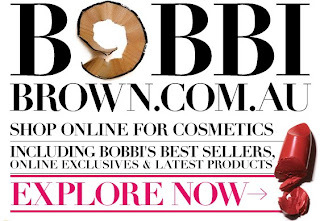 If you haven't heard the good news, Bobbi Brown Australia is now available for those of us who like to go shopping in the wee hours of the night or just live too far to get to a Bobbi Brown Counter. and a deluxe sample of your choice with your first purchase. Offer valid whilsts stocks last. What's more there's now a review function on all the products lines on the site. As an incentive for you to contribute a review of your favourite product, you will be awarded a duluxe size cleansing oil for your hard efforts if you are the first 100 reviewers. How good is that? What is your favourite Bobbi Brown product? - mine is the award winning corrector in peach.